Claire and Olly have been together for 13 years. 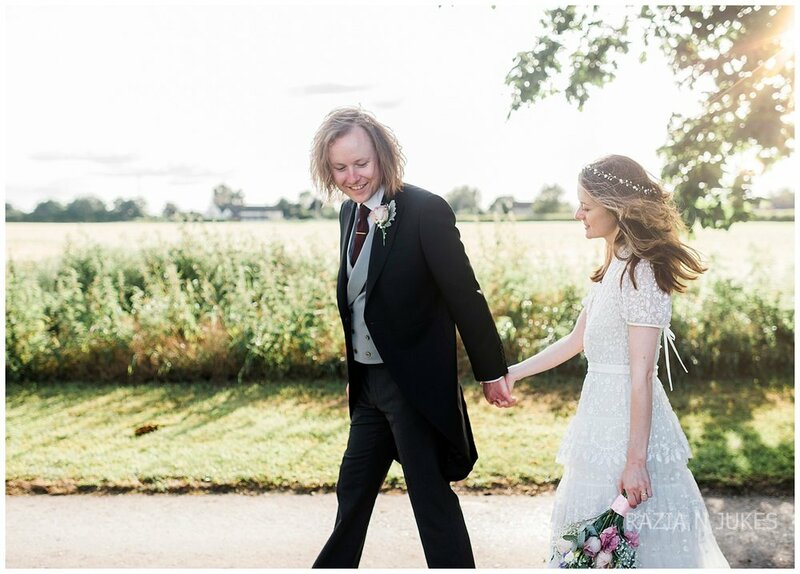 They met at a college in Oxford (where they were both born and grew up) in 2004 during a Art Foundation course. They got together 'officially' in January 2005 while they were still on the foundation course. 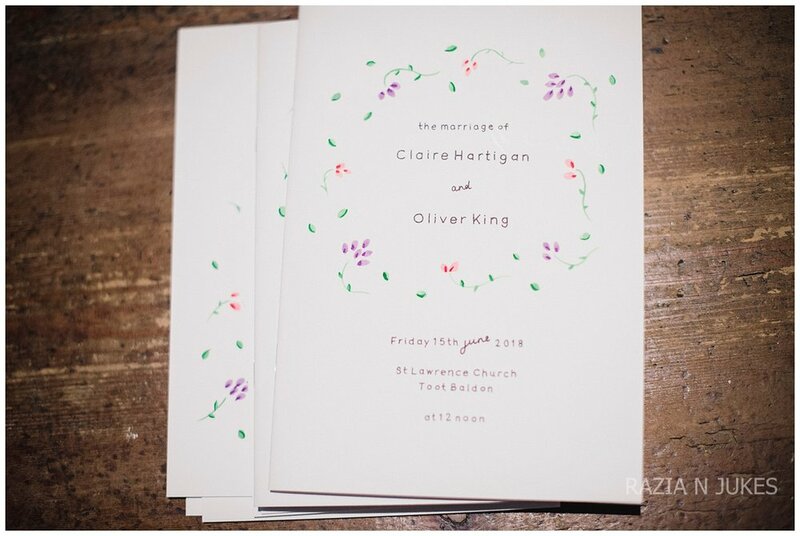 Later they both went to Kingston University together where Claire studied Illustration and Animation and Olly studied Product and Furniture Design. 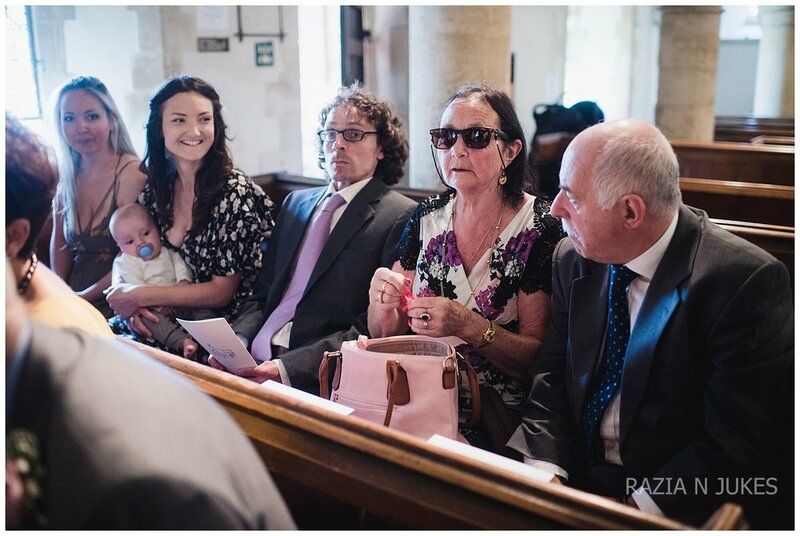 Claire and Olly married at the beautiful St Lawrence Church in Oxford. The story as to why they chose this church completely amazed me. 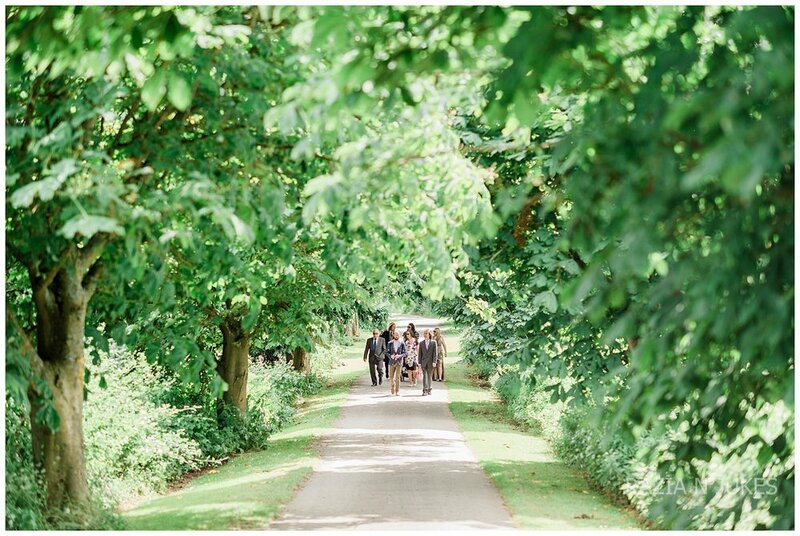 Was it because of the breath taking setting of the Oxfordshire country side? Actually it all started during a seemingly random walk down a country lane, this is where they discovered St Lawrence church. 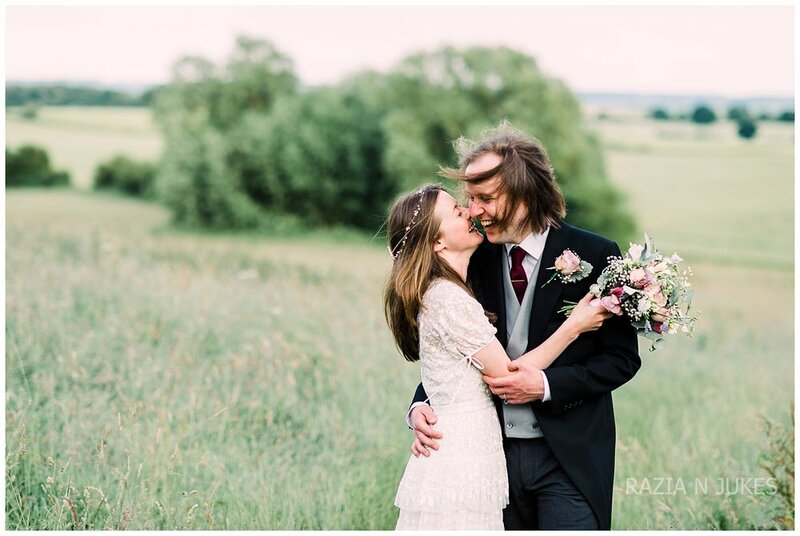 "We walked down the lane one day a few years ago by chance and saw St Lawrence Church, we instantly knew it was the church we wanted to get married in and immediately felt a deep connection to it. My grandmother (my mum's mum) and great grandmother (grampy's mother) were both born in that area of Oxfordshire (I don't think we even knew this at the time) and soon after we first found the church we learned that so many of my ancestors are buried in the church grounds and have a plaque in the church to the Fruin family from which I descend. We completely think it was meant to be because it was such a coincidence and I had the weirdest feeling that something significant was there when we first found it even though I had no idea why...and then to find out that about 70% of the older graves there were Fruin family ancestors was the weirdest thing..."
"We had a very strange coincidence happen recently too. Olly was looking at our marriage certificate and noticed that the home address of the reverend who married us was on it. He recognised it from some very old family records and it turns out she lives in the exact house which my great grandmother was born in back in 1897. My great-great-grandad and my great-great-great-grandad lived in this house and it has this address on lots of the family records we have found! 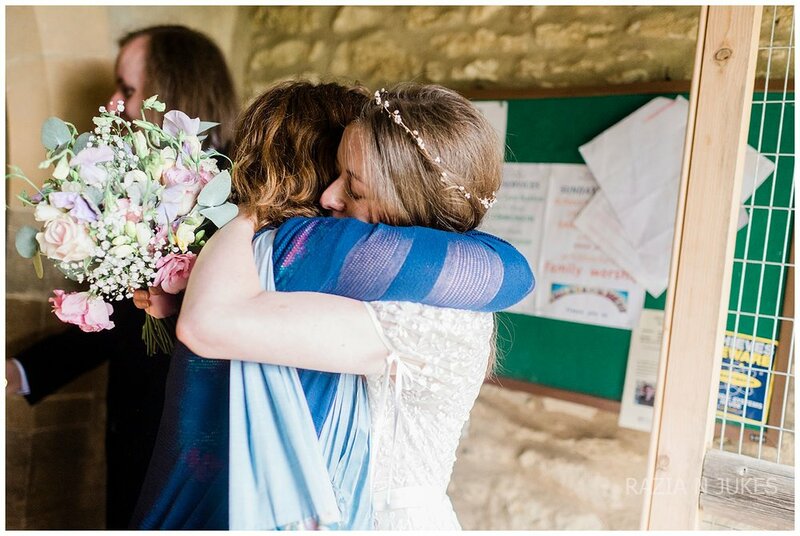 We couldn't believe it because we had no idea where she lived (the reverend)!...of all the houses in Oxfordshire!" 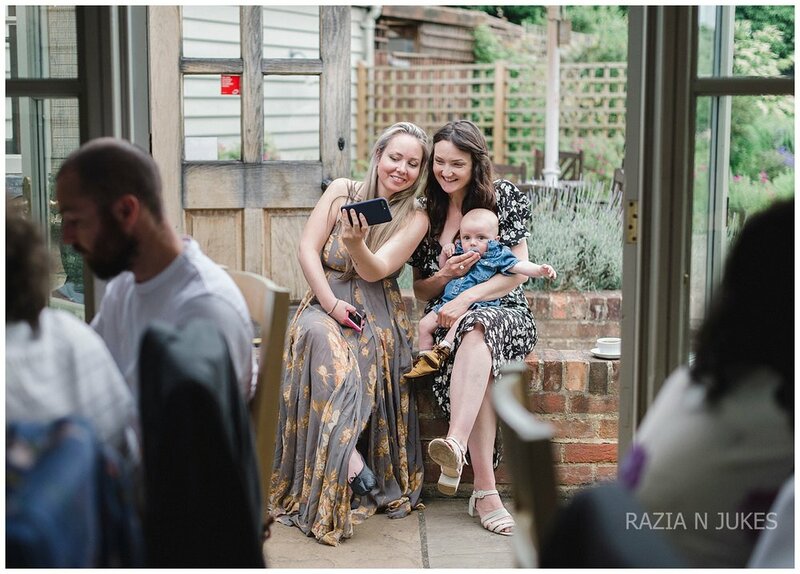 Claire and Olly wanted a small intimate wedding with their family. 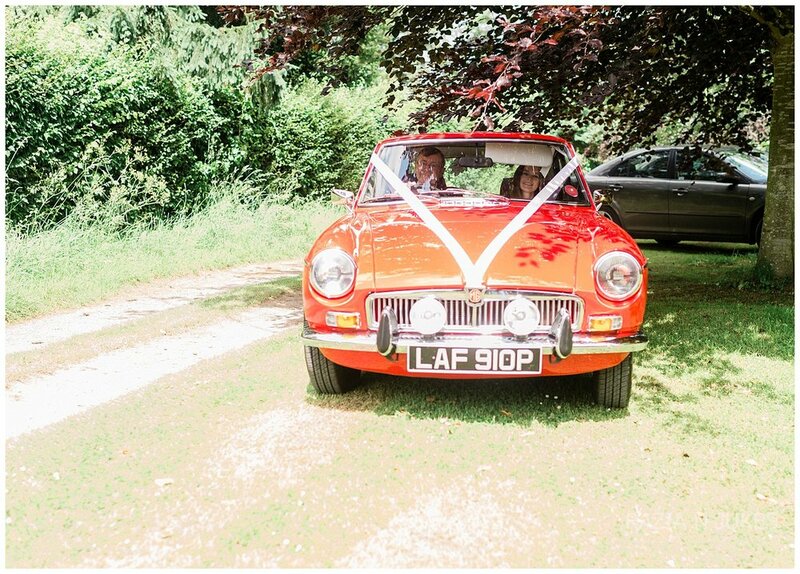 Claire arrived at the church in a red MGB GT driven by her father. 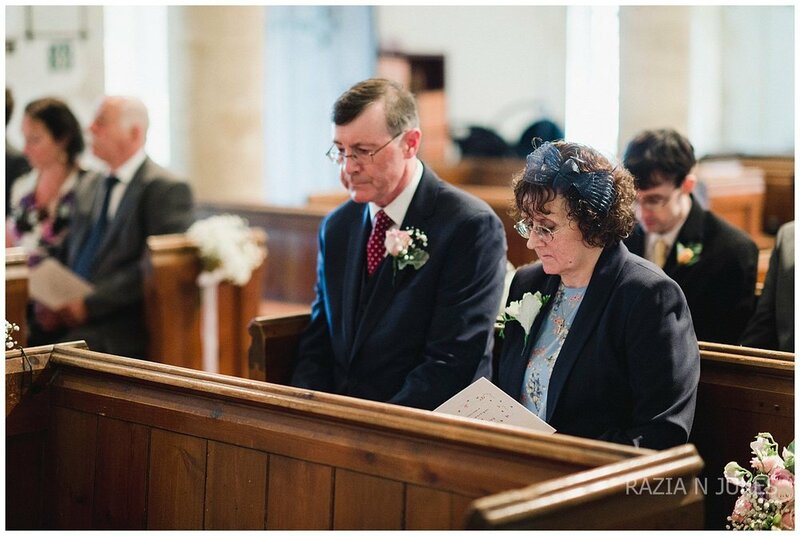 The ceremony itself was beautiful with two readings and hymns sang by the church choir . 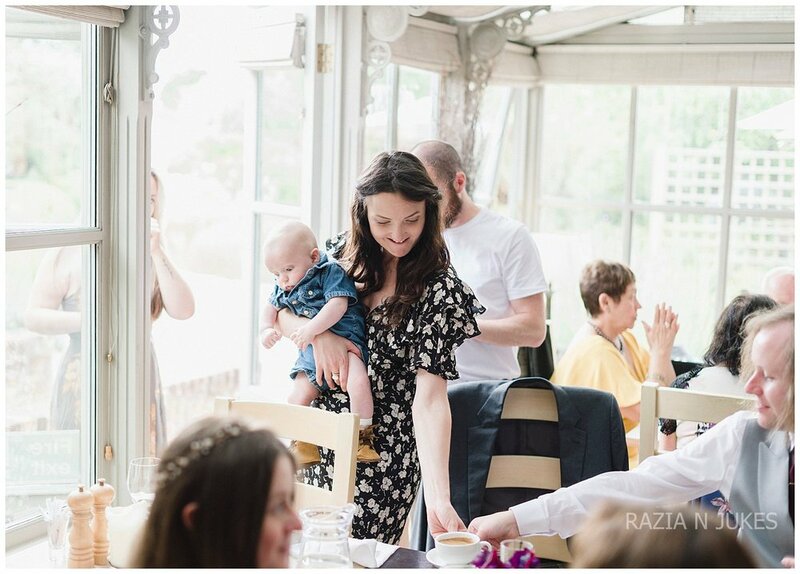 The sun shone for them as they were showered with confetti and then the guests took a short walk down 'that' lane to eat at The Mole Inn. 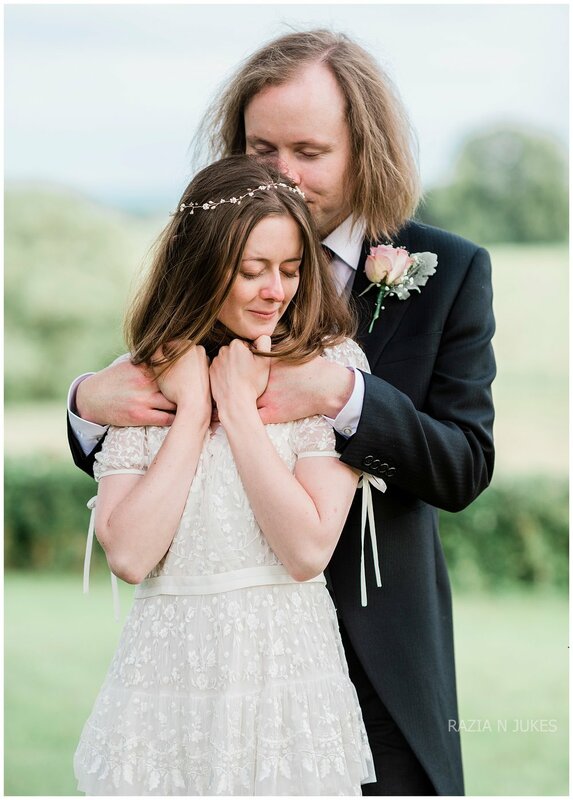 Claire looked stunning in her dress by 'Needle and Thread'. 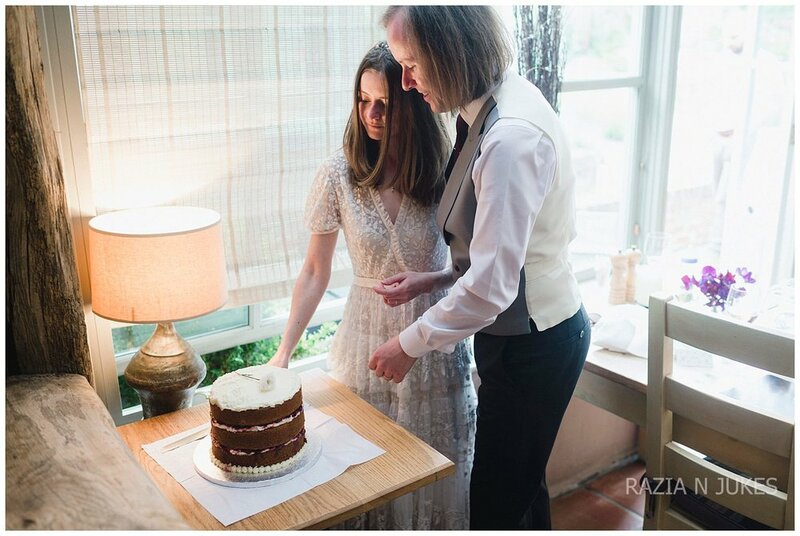 It was a vintage inspired dress featuring a v-neck, short sleeves, a ruffled hem, tulle panels with a beautiful embroidered floral design. 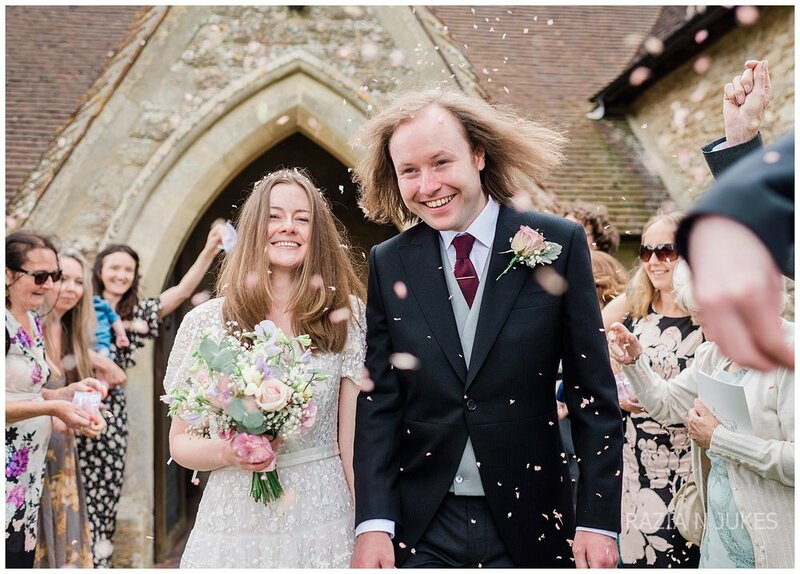 She wore a 'halo' hair decoration from Britten Weddings. 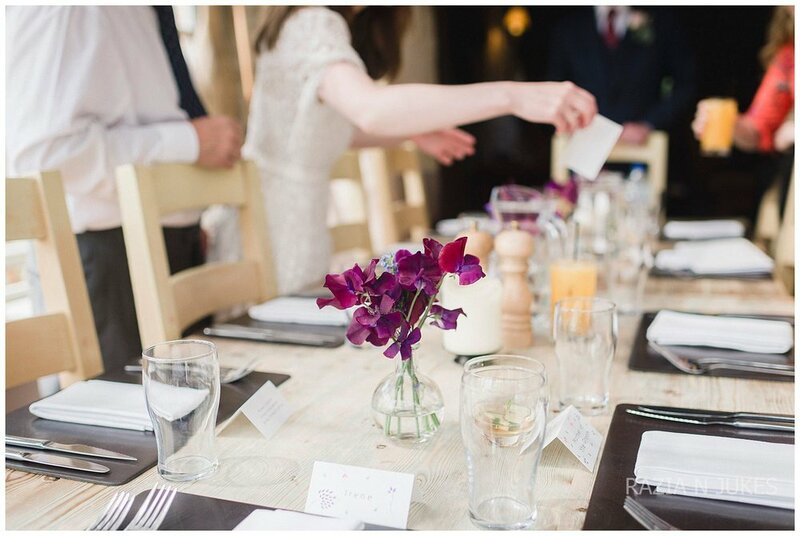 Claire is also a very talented artist and designed the place settings and order of service. Her illustrations are beautiful! Olly looked incredibly sharp in his suit which he sourced separately. His jacket, trousers and shirt were from Walters of Oxford. They are a very long established and traditional men's outfitters in Oxford and supply the university with academic and ceremonial gowns. His waistcoat was from 'Ede and Ravenscroft'. His tie was from 'Moss Bros'. He wore an antique gold pin which he had from his antiques business.